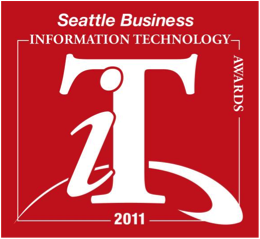 Last week Seattle Business Magazine recognized us for Innovation of the Year in its 2011 Information Technology Awards. While we won for our product innovation overall, what really sealed the deal was our newest technology, Application Inspection Triggers, which we introduced in May of this year to analyst acclaim. 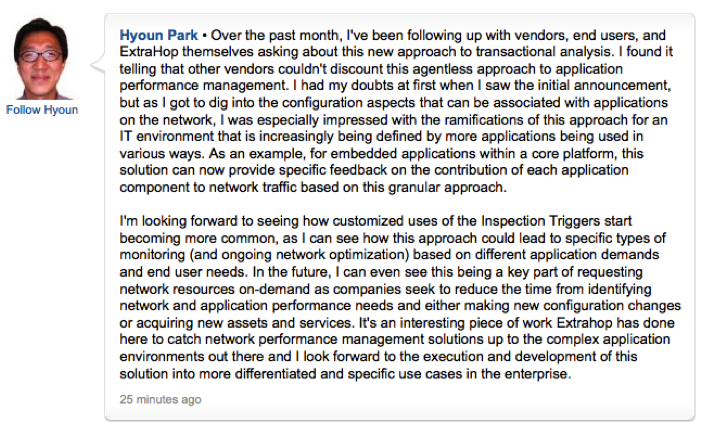 We're thrilled to receive this recognition because Application Inspection Triggers really is an industry game-changer (if you don't believe us, see the LinkedIn correspondence below!). Prior to Application Inspection Triggers, the specific health and performance metrics recorded by our solution were carefully selected by our Product Development team—and customer requests for additional metrics to support customized or homegrown applications had to be incorporated into the next product release. This process is typical of how many traditional APM vendors operate, and we wanted to change that. 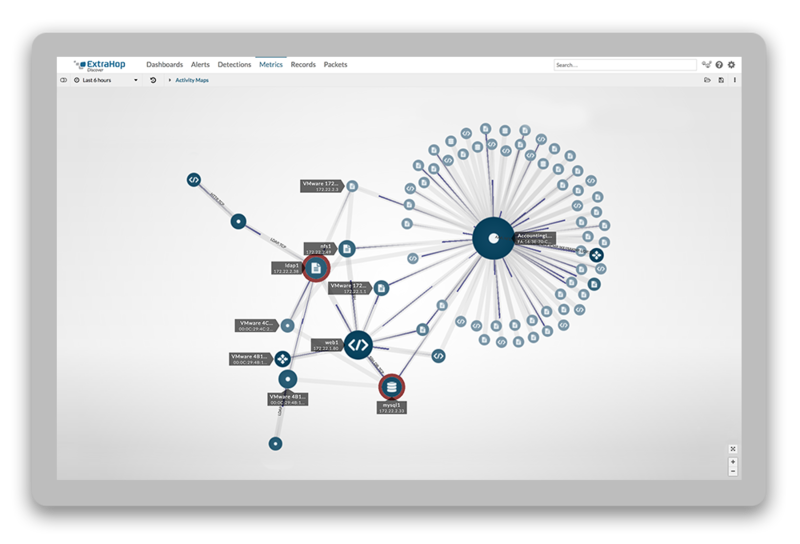 Application Inspection Triggers empower IT personnel to define metrics for their specific environment and business needs. Instead of using filters and expressions as other products must do, Application Inspection Triggers introduce a framework for real-time analysis based on scriptable event processing at the application-protocol level. Client segregation. In an example scenario, the Web Operations team has received reports about slow performance for iPhones accessing a web application, but combined metrics for all clients do not reveal the problem. The team can write an Application Inspection Trigger to parse the User-Agent from the HTTP request, segregating iPhone-specific metrics. File-system privilege auditing. IT Operations is concerned about unauthorized access to sensitive files and directories on the network-attached storage (NAS) system. The team can write an Application Inspection Trigger to examine NAS access by file, directory, and user, recording metrics that track unauthorized access. Multi-tier correlation. A mission-critical homegrown application is suffering performance problems. The IT Operations team can write an Application Inspection Trigger to parse the comments embedded in a database query that tie it to a specific front-end request. This Application Inspection Trigger enables the team to correlate slow processing times on the database with individual front-end requests. Congrats to everyone on the ExtraHop team who helped to develop such an innovative product! 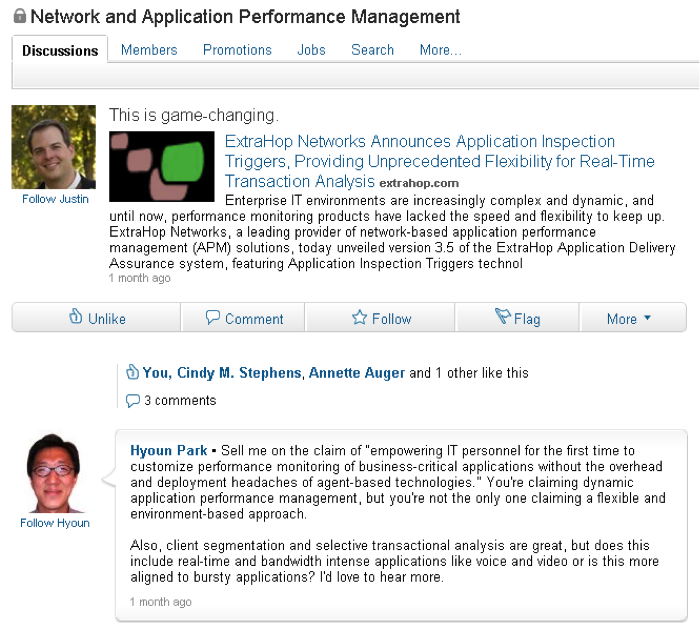 This conversation is viewable to the public to members of the LinkedIn Network and Application Performance Management group.